We noticed a couple of deals floating around today that were worth sharing, one of which includes a special edition Star Wars version of the DROID 2. Everyone remember the R2D2 slideout DROID 2 that Verizon wanted $250 on-contract for? Since the phone was priced insanely high, it never did sell out even though limited numbers were produced. The proof is today’s deal through eBay that has the device readily available for $69.99. At that price point, we are talking impulse buy/novelty/collectible territory. Outside of that random throwback, we thought we should point out that Amazon has had the Chromecast listed for $29.99 for a couple of weeks – that’s $5 off retail. Amazon is also hosting a flash memory sale for PNY cards, including a 64GB microSD card for $35. 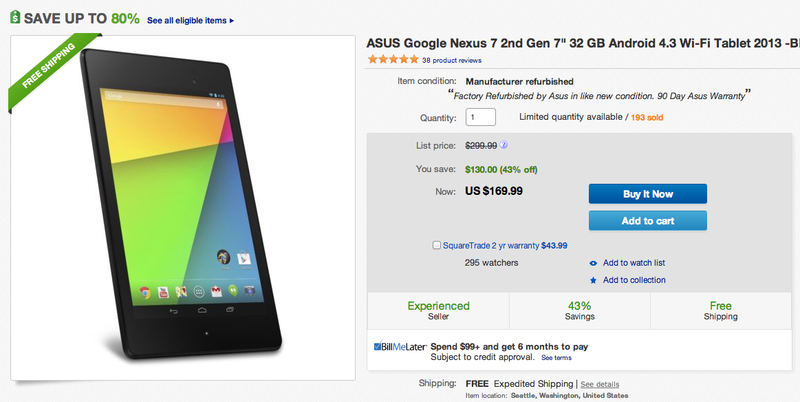 Over on eBay, you will find the Nexus 7 (2013) with 32GB of storage for $169.99, plus the brand new Samsung Gear Fit for $179.99.